Girls love parties and beautiful girls can't live without them. They just need to show off time to time, so this night will surely be for them. 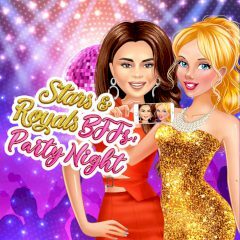 Create perfect makeup for each girl and dress them in amazing and unique outfits. Match it to girl's personality and mood, so they can impress everyone around.